With scores of SEO services hitting the online market, SEO seems like a thing next door. Many small business owners perceive spending on an SEO expert as dissipation of both time and money. Therefore people are now shifting to do it yourself (DIY) SEO, but obviously to no avail! Let’s say you don't directly rush to optimization immed- iately after your website is ready. Perhaps, in order to bring your DIY SEO to action, you scan through a bun- dle of SEO articles and a bunch of books too, grasping the major techniques while rejecting the others. It's good to trust your smartness and believe in your sharp analytical skills. But getting on the first page of Google, takes more than mere smartness. Optimizing your website calls for a dozen of different tactics, a thousand of steps and an outstanding strategy. Search engine optimization is a profession and only skilled practitioners can achieve SEO successfully. Also don't forget that SEO methodology exists in wide spectrum shifting from an industry type to business form and targeted audience. Still believe you can take on as a self-made SEO expert? Read ahead to have an overview of the prerequisites you must procure before web optimization. similar to yours. Also, watch out for the keywords your competitors are using. Google Analytics might not help you meet this purpose effectively. 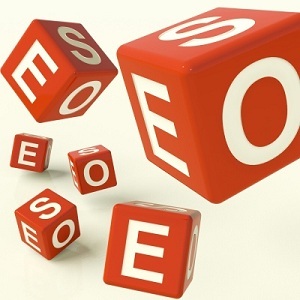 Hiring an SEO expert is the only proficient option. Practicing back linking is a boon if you manage to gain authoritative links to your site. Do it off the beam and the generated link spam would plague you forever. As the cliché says, Content is the King in SEO industry. Engaging and fresh content is a must. Simply write a bundle of catchy and unique posts every day that will make both the search engines and visitors happy. Easy? Stop living in false hopes and go for expert help. With social networking sites transforming as the lifeline of people, you cannot afford a loose word-of-mouth marketing if not miss it entirely! So either set up spare accounts on all leading social networks and maintain a powerful presence there or simply hire an SEO expert service to do it for you. Simply reading about Google updates is not enough. You must understand them to keep any risk factors at bay. Also, Google introduces new complex algorithms almost every day, which only professional teams can keep a pace with. Trying SEO yourself is like betting your luck. Though it might work at exceptional scenarios, but mostly you lose or opt out of the battle due to other strong contenders. Remember, if the internet is a maze, then there is an SEO expert at every corner. When you hire a professional for SEO work, you can easily sublimate your energies in further expansion and growth of your business. Get wise on the web, hire an SEO expert. Ian Patrick is the director and creator of an SEO expert company. His team has helped many lost businesses realize their real potential on the web in terms of higher sales, traffic, rankings and ROI. His blog is regularly updated with SEO related articles. His other interests include composing music and playing guitar.